Project Lead The Way (PLTW) is an industry leader in providing transformative learning experiences for PreK-12 students and teachers in more than 11,500 schools nationwide. Their cutting edge curriculum empowers students to solve real-world challenges through engaging and hands-on learning projects. 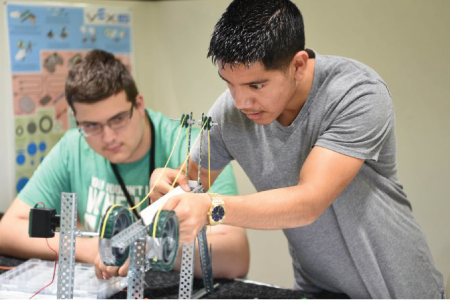 PLTW Launch empowers students to adopt a design-thinking mindset through compelling activities, projects, and probelms that build upon each other and relate to the world around them. Through engaging and collarborative hands-on challenges, PLTW Gateway empowers middle school students to discover what they're passionate about, and how it relates to a career in the future. 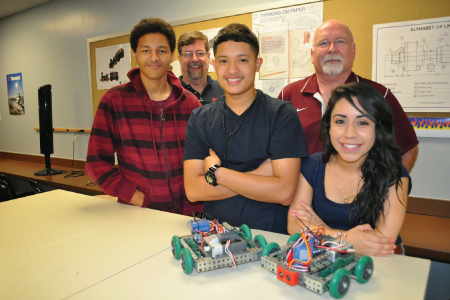 PLTW Computer Science inspires students to become creators of technology, rather than just consumers. Students will work together to design solutions, and learn computational thinking - not just how to code. 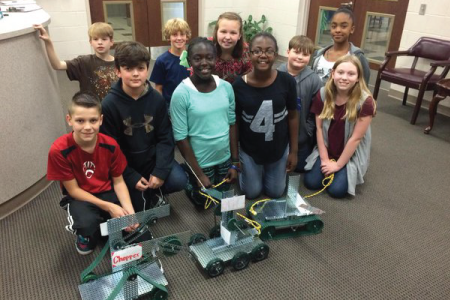 PLTW Engineering teaches students to develop the problem-solving mindset of an engineer. 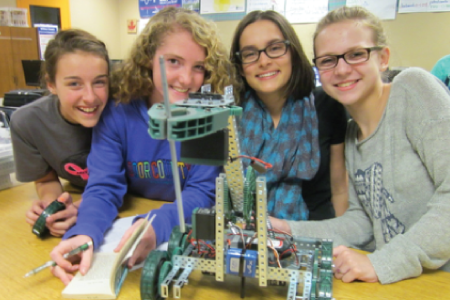 Students will engage in real-life challenges such as designing a home or programming a robotic arm. For more information on PLTW and to learn more on how you or your student can become involved, visit their website at www.pltw.org. This custom VEX Robotics kit is used in PLTW's Gateway course. 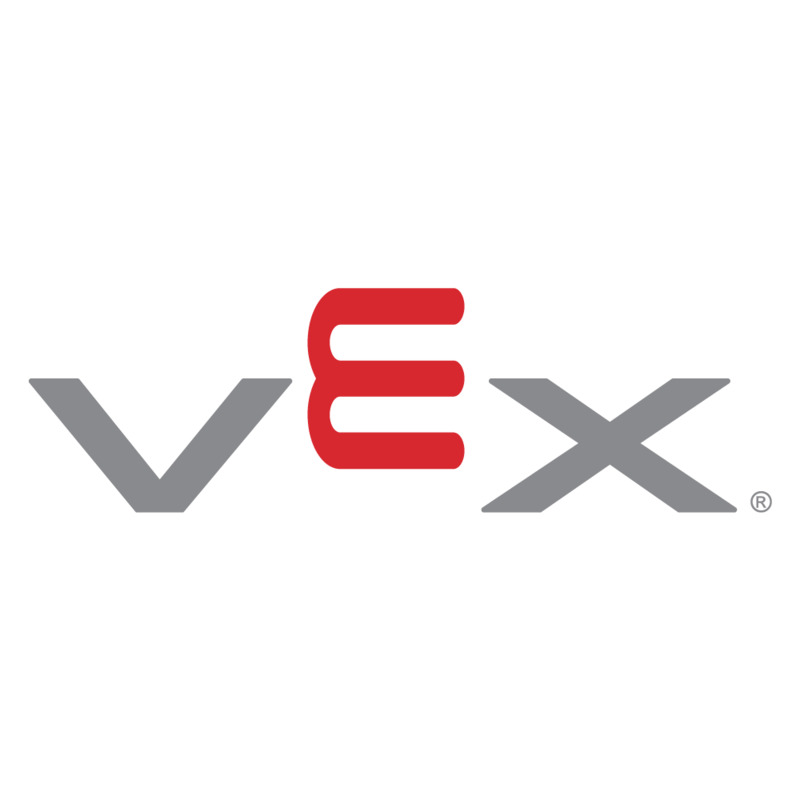 This custom VEX Robotics kit is used in PLTW's Aerospace Engineering course. This custom VEX Robotics kit is used in PLTW's Digital Electronics course. This kit enhances the PLTW Gateway Kit for schools that want to build a robot to compete in the VEX Robotics Competition. The Heliocentris Alternative Energy Kit allows for instruction and understanding of basic fuel cell and solar cell applications. Note: This product is not legal for use in the VEX Robotics Competition. The Heliocentris Alternative Energy Half Kit allows for instruction and understanding of basic fuel cell and solar cell applications. This kit contains a variety of mechanisms to help a robot builder learn about the mechanics of motion. Use them to see examples of worm gears, lead screws, universal joints, bevel gear reductions and rotary cams.